In partnership with OREO and HBO, we launched limited edition OREO Game of Thrones cookies, as a tribute to the final season of Game of Thrones. The cookies feature one of four unique embossments spotlighting the three houses still battling for the Iron Throne and the enemy White Walkers beyond the wall. My role on this project was to bring the packages and cookies to life through photography. I worked with the team to plan and produce the final assets–compositing stills with 3D renders. 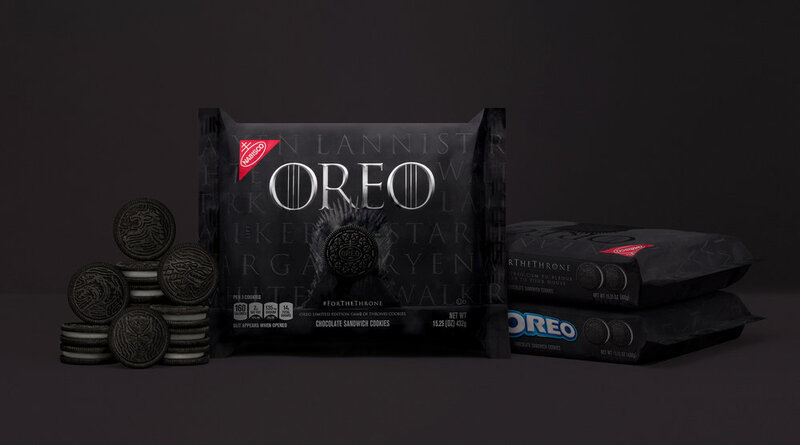 We also worked with Elastic—the design studio behind the original Game of Thrones opening sequence—to create an all-OREO version of the show’s iconic opening credits. The film showcases the houses still in play for the throne with an animated landscape built entirely out of 2750 animated original and Oreo Game of Thrones cookies.